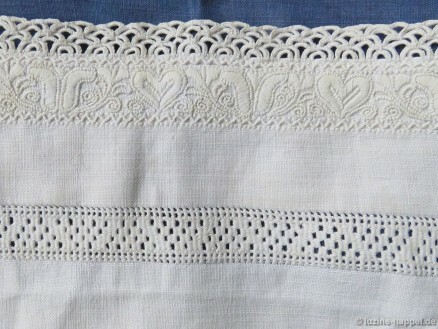 multirow simple needlelace scallops with pyramids inside and outlined with connected picots. 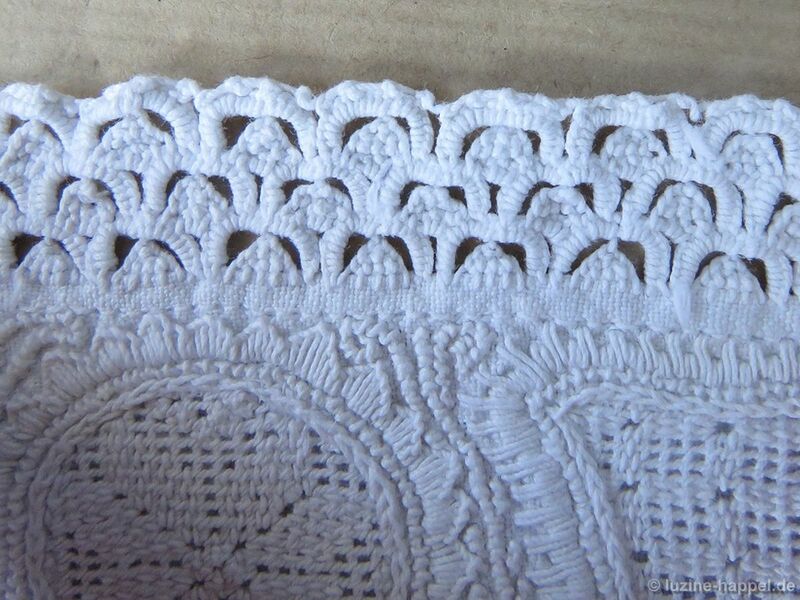 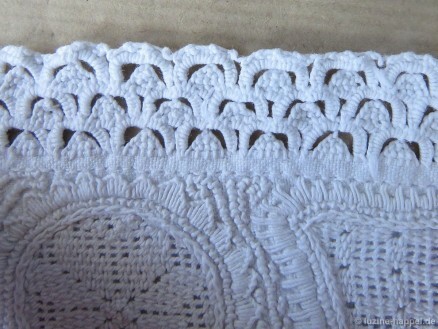 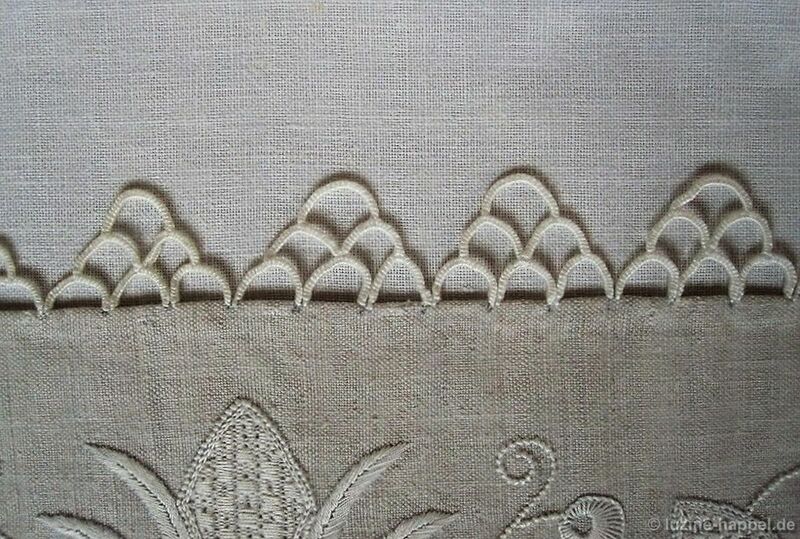 Also presented was needlelace made in a double row of scallops: Two scallops were stitched side by side; a third scallop was stitched on top of the two to connect them, and a fourth scallop, which was additionally decorated with picots, spans over the trio. 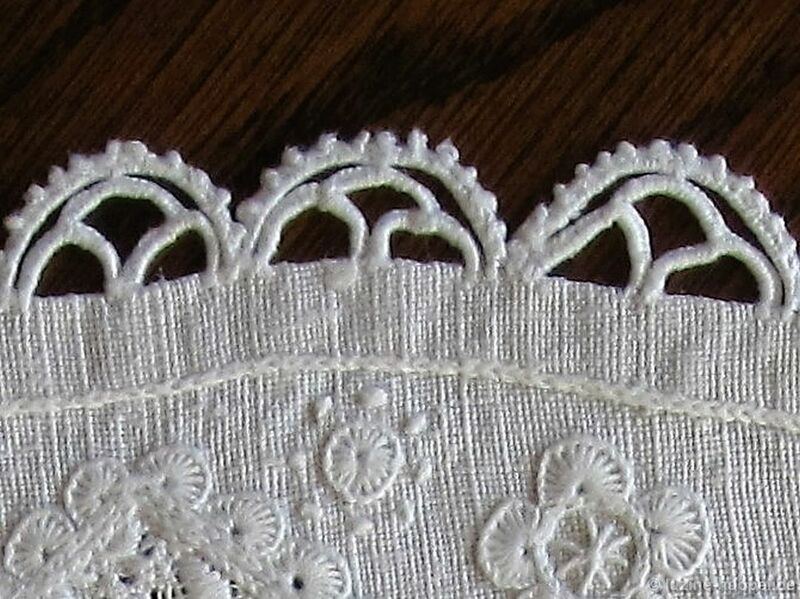 Readers of my blog also saw this edging: Three rows of bound double scallops as well as one row of single scallops decorate the sleeve cuff of a traditional Schwalm bodice. 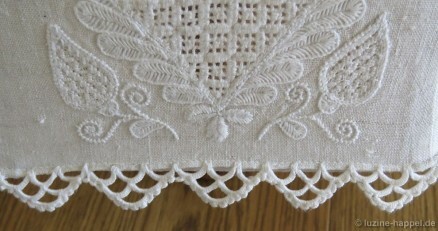 And needlelace was also seen worked on the bottom edge of a lampshade. 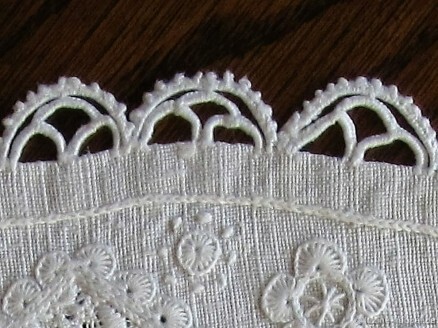 The needlelace was made in an inverted pyramid shape (3-2-1). 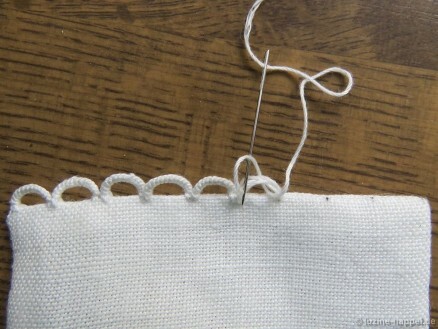 A row of picots borders the outside edges of the pyramids and binds them together. 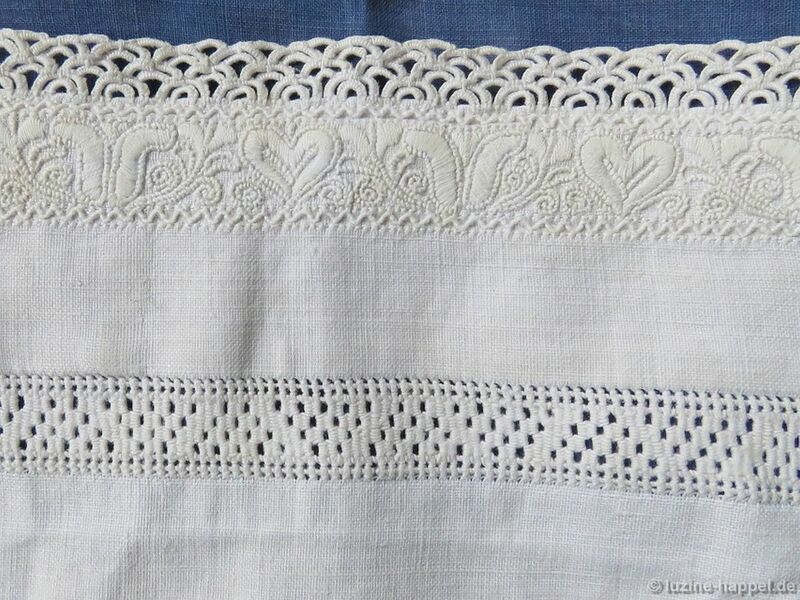 And one of the blog’s many projects, a small lavender bag, featured a single row of simple needlelace scallops on its edge. 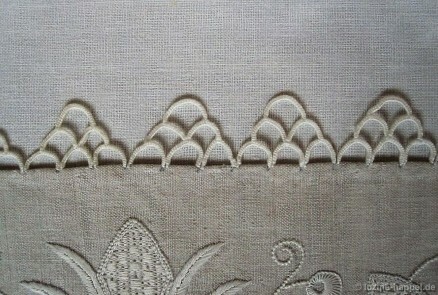 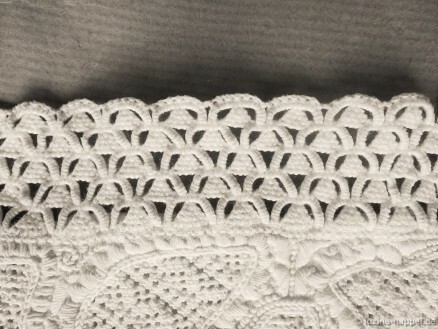 Below are two more examples of needlelace edgings: Three rows of simple needlelace scallops with pyramids inside and outlined with connected picots decorate a traditional Schwalm bodice (C). 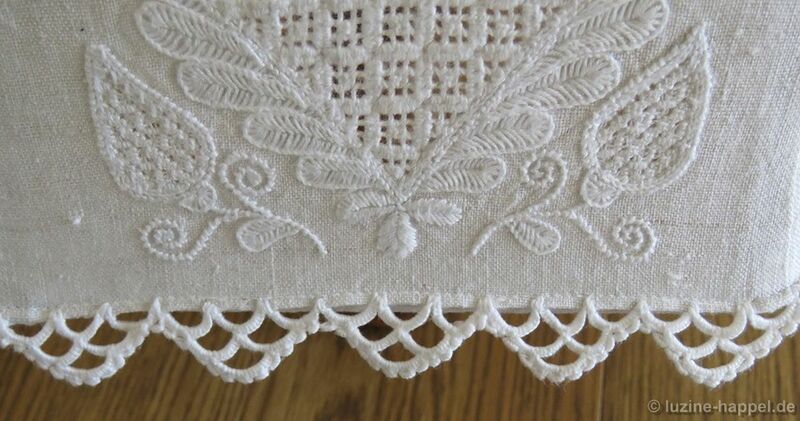 And four-tier scallop pyramids outlined with Bullion Knot picots finish the especially beautiful contemporary Schwalm table cloth. 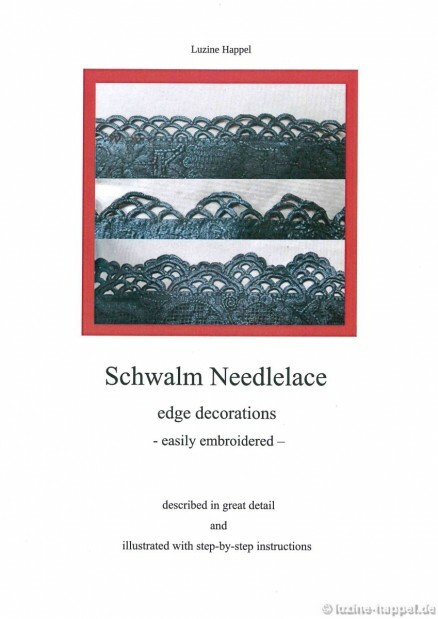 This selection gives you only a small glimpse into the variety of needlelace edge decorations common in the Schwalm. 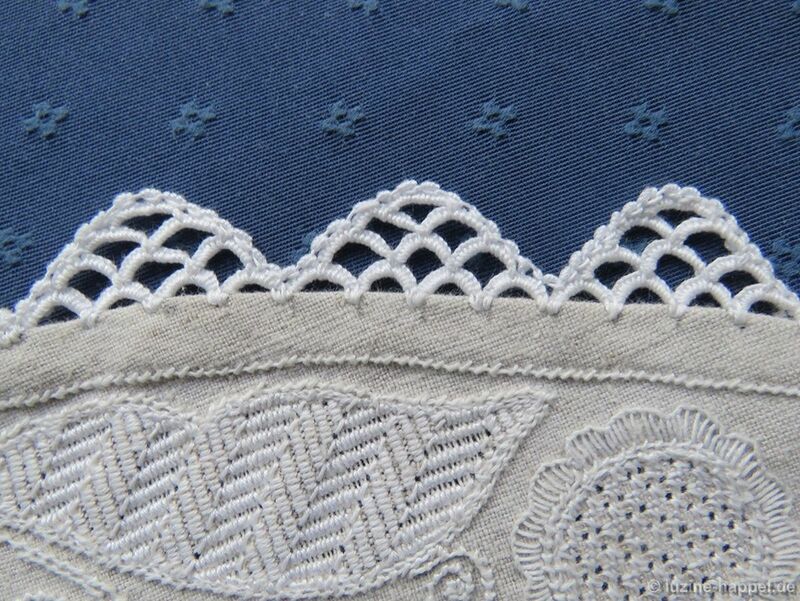 The booklet also includes many needlelace edgings from different centuries, including some rare examples. 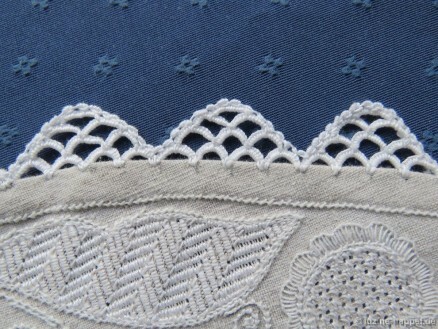 By combining single elements of the edgings many more needlelace patterns can be established. Unfortunately, many embroiderers shy away from working needlelace – the edgings are really very easy to embroider if one has good instructions at hand. 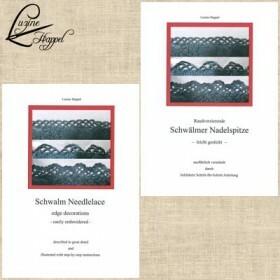 Of course it is also possible to get this publication as a printed booklet for the same price (25.00 EUR) plus shipping charges. 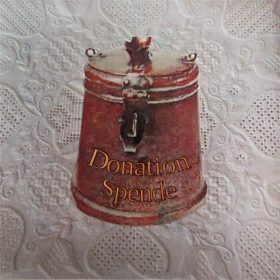 This option is not shown in my online shop, so please email me with your request.